Day 2 of this year's EPT London Main Event saw a slew of high profile players hit the rail as the starting field of 675 entrants was whittled down to just 135. At the start of the session the familiar faces of Ole Schemion, Viktor Blom and Isaac Haxton all threatened to dominate the action and force their way into contention for the £499,700 top prize. 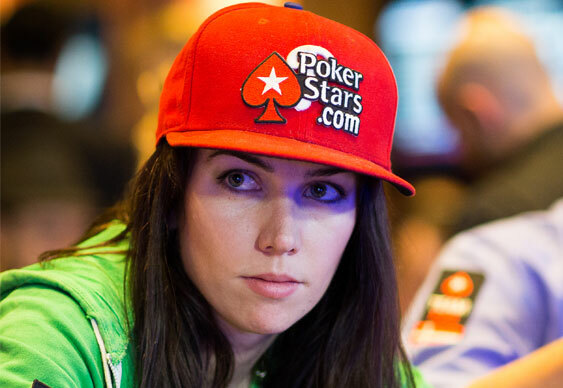 However, as the chips began to flow and pace increase, all three pros found the going too tough and eventually slipped away to join a number of home grown stars on the rail, including Victoria Coren Mitchell, Andrew Chen and Craig McCorkell. Another surprising exit midway through Day 2 was Daniel Colman. Despite being on one of the most impressive tournament runs in history, the American pro couldn't add to his $22 million annual haul after making a typically discrete exit towards the tail end of the session. While yesterday's action saw a plethora of star's lights turned out, it also allowed many to burn brightly and by the close of the day it was Raffaele Sorrentino that led the way. After raking in 491,400 chips, the Italian pro put himself in a strong position to make it into the money (from 95th place onwards) on Day 3. Not only was that stack enough to improve his overall equity, but it helped but him clear of a strong following pack that includes the likes of Liv Boeree (230,000), Jake Cody (269,400), Johnny Lodden (285,400) and Simon Deadman (345,900). Day 3 is likely to see the bubble burst as the remaining players grind their way through six 90-minute levels.